Though the weather had turned decidedly wintery the final Model Railway auction of 2017 was well attended with over 280 lots on offer for keen bidders. In the Live Steam section this Aster gauge 1 Class 5700 locomotive realised £1,593. 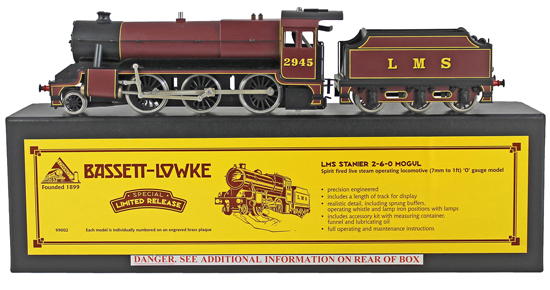 And this Bassett-Lowke by Corgi O gauge LMS Stanier Mogul locomotive and tender sold for £460. 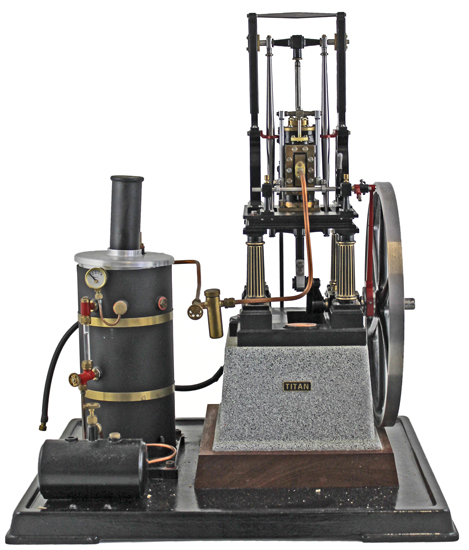 And this unusual Cotswold Heritage gas field ‘Titan’ vertical table engine achieved £678. Moving on to the O Gauge section this Bassett-Lowke by Corgi Australian Bicentenary LNER green 4472 ‘Flying Scotsman’ locomotive and tender realised £436. This Hornby ‘Riviera Blue’ No. E320 passenger train set sold for £330. And this kit built electric GWR green 3446 4-4-0 locomotive and tender achieved £424. In the OO gauge section this Hornby Dublo 3-rail LNER green 4771 ‘Green Arrow’ locomotive and tender realised £460. This Hornby Dublo BR 2 tone green D9001 ‘St. Paddy’ diesel locomotive sold for £389. And this Marklin 3-rail black G800 locomotive and tender achieved £259. 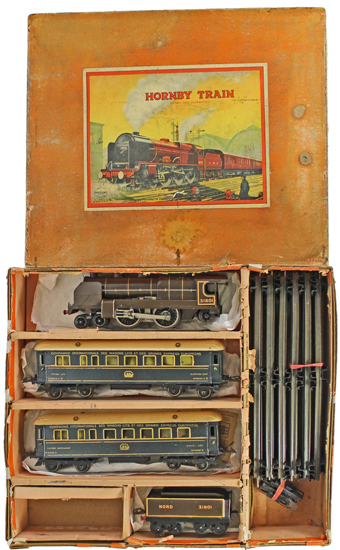 Our next Model Railway auction will be held on Wednesday 24th January 2017. The full catalogue for this sale will be on our website in the next few weeks or keep an eye on our Twitter and Facebook pages which will include updates of our latest auction news.